Even if you had an in-depth training when you took First degree, you still only took in what you could. We grow immeasurably as Reiki practitioners when we revisit the basics. What does Mainstreaming Reiki mean and why does it matter? Who benefits when Reiki practice is brought to the mainstream public in a credible way? Why would the mainstream public be interested in Reiki practice? 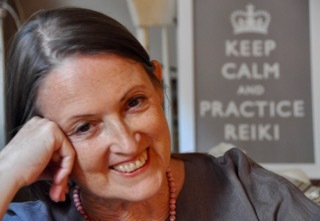 Are you already a mainstream Reiki practitioner? What are the values that you associate with Reiki practice? How do you model or communicate those values? What claims do Reiki practitioners often make and how can you communicate responsibly, without making any claims? How to address criticism of Reiki practice? Can you be mainstream and remain true to traditional Reiki practice? Click the BUY NOW button below to purchase the Back to Basics webinar audio recording for $19.99. You will be emailed the link so you can download the recording and listen at your leisure. If you don’t find the email in your inbox, please check your spam folder before using the website contact form.